For believers who are part of the glorious, contemporary revival of Reformed theology spreading across the globe, the pillar of sola Scriptura – Scripture Alone – is a well-known feature revived during the 16th-century Protestant Reformation. We recognize that Scripture is THE sole rule for our Christian faith and life. It is the infallible and inerrant authority. It is completely sufficient. Implicit in sola Scriptura is the concept of tota Scriptura. The entirety of Scripture as the whole counsel of God must be embraced, comprehended, and obeyed by the believer. We cannot selectively excerpt from the Holy Writ those portions we deem personally acceptable upon which to build the framework for our understanding of God, of ourselves and our faith. The fullness of Scripture must be our source. Favored passages and teachings from Scripture we find soothing to our souls and easily digested by our understanding must be reconciled – as they can be – with the more difficult, and often seemingly abrasive, instruction from the Word that can be hard to swallow. Sola Scriptura necessarily means tota Scripture. We must not miss anything, avoid anything, or omit anything … nor should we want to. A third ‘Scriptura” concept reborn in the Reformation is analogia Scriptura. The analogy of Scripture does not imply that the Word itself is an analogy to something external to it. Rather the phrase reveals the inherent characteristic of doctrinal consistency within the Word that must drive our study. Scripture must be compared with Scripture. God’s Word does not contradict itself. Thus, if we arrive at an understanding of a particular text’s meaning from one portion of Scripture, that understanding will rightly always correspond with the same, perhaps more fully illumined, meaning from another portion of Scripture. We do not have to cast our gaze too far within modern evangelicalism to find these “Scripturas” being decimated by pulpits, demeaned to oblivion within pews, and disregarded in Sunday School rooms. The old standby phrase of any good Southern Baptist was once “Chapter and verse, please” when confronted with a Biblically-spurious notion. That laudable knee-jerk reaction for the authority and sufficiency of Scripture has all but disappeared to be replaced by the much more commonly heard, and often pastor-condoned, “What does this verse mean to you?” Such wrongly handled treatment of God’s Word is increasingly commonplace. While it is an offense to God, it’s also a dangerous precedent to set for believers who may not thereby be equipped when faced with outright toxic teachings. Perhaps no arena of modern “Christianity” is more replete with abuses of Scripture than the modern charismatic movement. 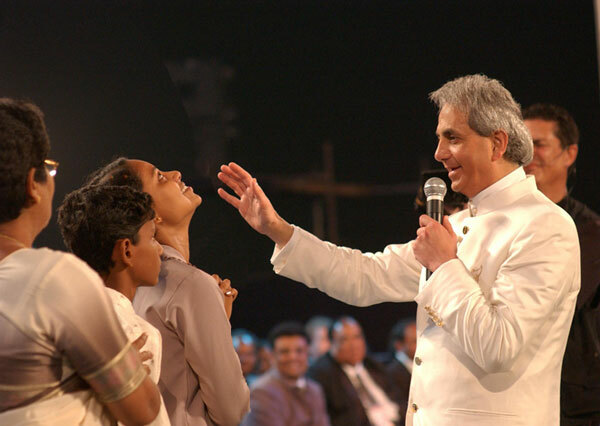 Though proponents of it will claim a 1st-century heritage, the charismatic movement dates to the beginning of the twentieth century. For the overwhelming history of orthodox Christianity, the behaviors exhibited today in charismania have been absent. But adherents to the barely century old movement claim for themselves a Scriptural defense authenticating their behaviors. But those Scriptural defenses are woeful in their implementation of sola Scriptura, tota Scriptura, and analogia Scriptura. If verse plucking were an Olympic sport, we’d be globally surrounded by some 600 million gibberish uttering gold medalists. But to take a simple reading of Scripture, keeping in view both the historical context, the target audience, and the text itself, we can see that in the middle of the first century, the gift of healing was not even then as prevalent in the church as “Christian” television and charismatic marketing make it seem today. Even allowing consideration for the long ending of Mark, the remaining corpus of the New Testament gives scant credence to the non-apostolic gift of healing so prevalent today. (Consider 1 Timothy 5:23 or 2 Timothy 4:20, for example) In fact, Scripture displaces the gift with an instruction that is directly counter to the supernatural practice. The earliest written book of the New Testament canon, the Epistle of James, is generally regarded as having been penned between 44 A.D. and, at the latest, 62 A.D. The two study Bibles I refer to most frequently (The Reformation Study Bible and MacArthur’s Study Bible) concur on their dating of the book between 44 – 49 A.D. Because the book is written to “the twelve tribes in the Dispersion,” its audience is clear: Jewish believers who have fled in the face of growing, 1st-century Christian persecution. His letter was to be circulated among them and has been, by God’s providence, included in the New Testament canon for our instruction. The theme of James’ letter is godly living. What does the life of an authentic, regenerate believer look like? With over three dozen allusions to the Old Testament and some twenty to Christ’s Sermon on the Mount, James is giving practical guidance for the believer and the church. It is noteworthy, then, that among the instruction James gives – writing in the middle of the first century – to believers is guidance on what to do for someone who is sick in the church. If someone is sick, what are they to do? Are they to call for an apostle who could assuredly lay hands on and heal them? Or, are they to seek another believer supernaturally imbued with the gift of healing? James gives neither of these answers. Instead, his guidance – again, given smack-dab in the middle of the 1st-century – is the same advice for the church today … “Let him call for the elders of the church, and let them pray over him, anointing him with oil in the name of the Lord.” (James 5:14) No calling for an healing-capable apostle. No summoning the believer with the gift of healing. Instead, the sick were to call for their elders to provide prayerful support, encouragement, and strength. That certain such spiritual gifts would cease, particularly those directly tied to the ministry of the apostles, is implicit in the New Testament. Gifts of healing, tongues, prophecy and the like were intended to end because they served a particular purpose in pointing to the Christ-initiated change in God’s redemptive plan. While the presumed gift of healing has been touted as returning to the modern church – notably unprompted by any divine impetus, such as a Pentecost-like change in God’s redemptive plan evidenced in the ministry of Christ – and though it is a pervasive feature on the marquee of “power evangelism” ministries, the most prevalent “gift of the Spirit” in practice in the modern church is tongues. We began a look at O. Palmer Robertson’s analysis of New Testament tongues in the article Tongues: The Final Word Was Not Ecstatic Gibberish. 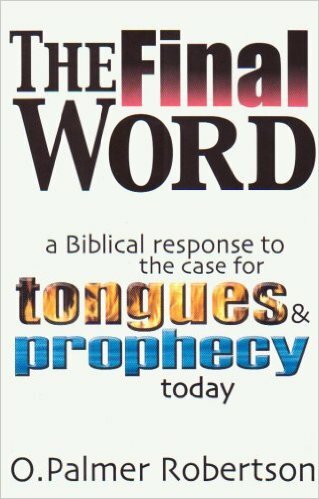 In that review, based on his book, The Final Word: A Biblical Response To The Case For Tongues & Prophecy Today, we considered the first two of Robertson’s four features of tongues drawn from the New Testament. We’ll consider now the remaining two features: that tongues were for public consumption and that they were a sign. The exhibition of the gift of tongues today do not fit any of these New Testament characteristics. From the outset, it is important to recall that throughout the entire recorded history of Scripture God’s intent has been to reveal – not conceal – truth about Himself, about man and about man’s “condemned already” condition. (John 3:18) His Words spoken through Old and New Testament prophets and apostles, and subsequently canonized in inspired Scripture, conveyed divine Truth that could be understood. Scripture is not mystical. It is not hiding secret messages that can only be contemplatively discovered. Esoteric spirituality is not necessary to understand divine Truth revealed in His Word. There is no “angelic language” with which we may commune with God because it is unneeded. He has spoken to us in human language. Indeed, pursuing such contemplative methods and experiential behaviors is a detour from the Word-bounded narrow path. (Matthew 7:13-14) Because God is God, His revelation in the Word is perspicuous. It is clear because it is in language we can comprehend. So, when God’s divine plan for redemption took a massive, eternity-shaking turn at the beginning of the first century, though it had been progressively foretold from the day of the first curse after man’s fall in the garden, (Genesis 3:15) the “mystery of God now revealed” (Colossians 1:26) was to be broadcast in its Gospel fullness. The staggering Truth of “the Word become flesh” (John 1:14) was to be made known. Jesus, the God-Man, spoke human language in His earthly ministry and it would be human language through which God’s new covenant of redemption would be proclaimed. Where God dispersed and “confused” the nations at Babel, at Pentecost He would broadcast His truth in those previously confusing languages. The result of His Babel judgment – a multitude of languages – became the mechanism of his Pentecost blessing and proclamation of the Gospel. Thus, at Pentecost, when the fullness of the Holy Spirit would come, what He is seen doing is nothing less than continuing the work of revealing divine Truth. Estimates of the population of Jerusalem at the time of Pentecost range from Josephus’ 250,000 to Tacitus who suggested 600,000. Whatever the number of the swelled-by-festival-season city population, we have a firm number for how many followers of Christ were in the city. Acts 1:15 tells us there were some 120 gathered in that upper room when the Spirit came. What we see the Holy Spirit doing through those 120 souls, and in the subsequent Pentecost experiences recorded in Acts, is no different than His work was throughout redemptive history up until that point. He revealed Divine Truth in the language of man. With the Pentecost believers, His work did not change in purpose, but it did change in procedure. With Pentecost, it was suddenly no longer the lone voice of one crying in the wilderness. It was through the mouths of those whom He’d saved. Each believer became a witness to divine Truth and commissioned to declare it. The Gospel would be unleashed in Jerusalem in the languages of those present from around the world. Scripture records some of those dialectic hearers of the Word. See Acts 2: 8-11. The intended purpose – the promulgation of the Gospel “in Jerusalem, in Judea, in Samaria, and to the uttermost” (Acts 1:8) – meant that it must be propositionally explained in the vernacular of the occupants of those regions. The inherent intent of the Spirit’s gifting of tongues, then, was not for the sanctifying spiritual benefit of the so-gifted believer, but for their effectiveness in broadcasting the Gospel message “to all the world.” The tongues-speaking believer already understood the Gospel and had been saved by it. Speaking in foreign languages enabled them, via the Spirit, to widely declare “the mystery of God” (Colossians 1:26) that was then being unfolded. But tongues were not only exhibited in the first century for the purpose of spreading the Gospel for public consumption. While Christ “added to the church” daily through the Gospel’s “power unto salvation” (Romans 1:16) through foreign language-gifted speakers, the tongues gift was also used within the church for the edification of the saints. The revelatory feature of tongues was exhibited in the 1st-century church. The explanation of the Gospel, it’s implications for redemption and its applications for life were brought prophetically by the apostles and those gifted with explanatory, revelatory, edifying tongues. “All gifts of the Spirit were for the benefit of Christ’s church,” writes Robertson. The Gospel, as the power of God for salvation (Romans 1:16), would be proclaimed by a Spirit-empowered tongues speaker for addition to the body as He divinely regenerated hearers. Then, that gift would be exercised to edify the regularly growing flock. Yet, if you take pause from a review of Paul’s description in his chafing letter to the gifts-abusing church of Corinth to consider the modern exhibition of tongues, you’ll find nothing that exhibits authentic edification of the church. Since modern tongues, so consistently practiced in charismatic churches, are not legitimate languages, they cannot presume to be edifying to the whole church. Coupled with the evident lack of their revelatory content, since the canon of Scripture is complete, closed, and sufficient, the gibberish tongues of today cannot contain any information useful to the church. Yet it is this acknowledgment even by charismatics that prompts them to reinterpret Paul’s apostolic rebuke of the Corinthians as portraying two types of tongues. Though this claim to a second class of tongues is a recent apologetic for charismatics, when the movement first appeared in 1900, it was adamantly based on the Biblical definition of the gift. Tongues were believed by founders of the charismatic movement to be authentic languages just as they were at Pentecost. Dr. Thomas Edgar, writing in Satisfied By The Promise of The Spirit, made the following astute point. The modern acceptance by charismatics of tongues and prophecy as degraded mimics of the New Testament phenomenon is well-known. Wayne Grudem, a continuationist, has said, writing of the gift of prophecy, that “Charismatics are arguing for a lesser kind of prophecy.” Indeed, they also are arguing for a lesser kind of tongues. Robertson addresses the Corinthian Scripture to which charismatics point to substantiate their claim to a different, and lesser, form of tongues. Charismatics claim from it a private use of tongues. The prevalence of “private tongues” is widespread in the modern church. And their presence is moving from the once excessive charismatic fringes into acceptance by more mainstream, once conservative denominations. The Southern Baptist Convention, for example, recently revoked its “private prayer language” restriction for international missionary candidates. Once a sure flag for denial, the private practice of private tongues is now an acceptable claim by a potential SBC missionary candidate. Robertson also addresses one other verse, 1 Corinthians 14:28, used by charismatics to attempt to validate the presence of “private tongues” in the church today. But this verse is found within the fuller context of Paul’s exhortation to Corinth for the orderliness of worship. Though one may have the gift of a foreign language, revelatory-uttering tongue, if an interpreter is not present, the gift should not be employed. As Robertson explains, “Paul makes the point that the tongues-speaker without an interpreter is to remain silent, speaking to himself and to God. The two actions are simultaneous. As he restrains himself until an interpreter is present, he speaks within himself while communing with God.” There is no private gibberish; there is merely an uninterpreted foreign language. The practice of modern tongues manifestly denies the New Testament feature of public consumption for Gospel proclamation and church edification. Since gibberish uttered, most often simultaneously by multiple ecstatically enthused practitioners, is not interpretable, and since “private tongues” is inherently untestable, neither exhibition of the “gift” in the modern church meets the New Testament’s criteria. The most evident example of this, as it relates to tongues, is the Apostle Peter’s sermon at Pentecost. (Acts 2:16-39) In his sermon, Peter cites the prophecy from Joel as being fulfilled in the presence of those Pentecost observers. The whirlwind of the change in God’s redemptive plan ushered in at Pentecost represented that divine judgment on Israel. In 70 A.D. the Lord would utterly destroy the very focal point of Judaism, the Temple, effectively ending the religion. Robertson also points to two other critical Old Testament prophecies regarding the coming use of tongues as judgment. From the time of Moses, God had prophetically warned that the presence of tongues was a sign of His divine judgment. One hundred fifty years or so after Isaiah, the Lord would prophesy through Jeremiah of a tongues-recognized judgment. Thus, the tongues exhibited at Pentecost “were a sign of covenantal curse for Israel. But, at the same time, tongues at Pentecost served as a sign of the great blessing of God to all the nations of the world, including Israel.” Tongues were the mechanism of both a divine curse and a divine blessing, extending the redemptive covenant to all the nations of the world. The tongues of the present day charismatic movement reflect none of the four characteristics of the gift as revealed in the New Testament. Tongues today are not revelational. They do not give new revelation from God. While their expression is often given in frenzied, phrenetic, congregational settings, their unintelligible gushings are neither intelligible to the speakers nor to the hearers. When practiced in private – a function nowhere prescribed or described in the New Testament – tongues are intentionally unedifying to the church. Finally, the tongues of today are not a sign that point to anything because the completion of God’s revelation is contained within sola Scriptura. The intent of God’s revelation is to make Himself known. He commands us to “believe and repent” in the Gospel. The modern expression of tongues is inherently offensive. It is unintelligible and mindless. And it is most frequently irreverent. The entire point of God’s revelation was for us to understand Him … with our minds. 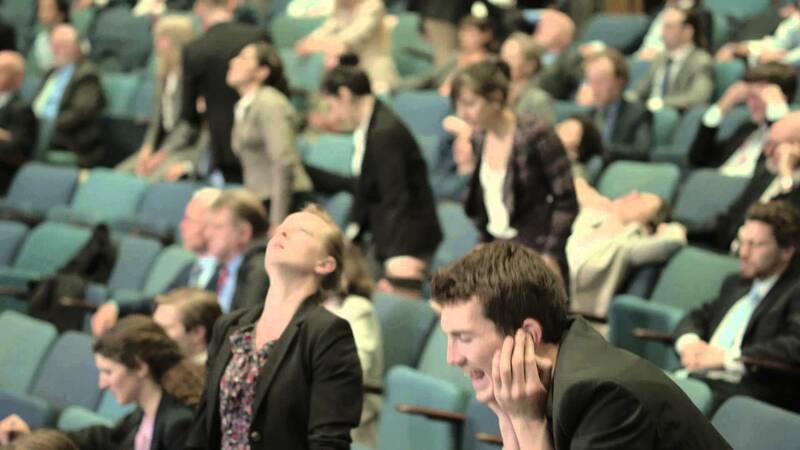 For the Spirit-regenerated, continued imbibing on His Word compels us to ever be “increasing in the knowledge of God” (Colossians 1:10) and to “be holy as I am holy.” (1 Peter 1:16) What then is gained by a gibberish-uttering tongues speakers who themselves have no understanding of what they are doing? Did you note that? A charismatic doesn’t even know – with certainty – whether “I’m truly speaking in tongues and not simply speaking gibberish.” But, the speakers at Pentecost knew. Their hearers knew. They knew because it was a genuine, purposeful, sign-pointing miracle of the Holy Spirit. Tongues at Pentecost and in the early 1st-century church were for the benefit of the lost and the edification of the church through the glorious Gospel of Christ. The tongues today are not that, as the Amazon reviewer makes clear. From the first divine Gospel hint in Genesis 3:15, throughout the progressive unfolding of God’s redemptive work with Israel in the Old Testament, culminating in the Calvary-planted, atoning cross of Christ, God has always continually revealed more of Himself and His saving work. The ministry of Christ – the Gospel – is the full expression of His divine redemptive plan. Through each Scriptural episode of redemptive history, God has expressed Himself and His plan more fully and more comprehensively. Which is exactly what the entire theme of Hebrews tells us. The new covenant is better. The Son is better. He is the better apostle. He is the better high priest. He is the better sacrifice. He is the better promise of God. He brings the better covenant. With the countless superlatives of Christ and the explosive change in redemptive history wrought by His ministry, does it seem likely that now, some two millennia later, God would usher into His church spiritual gifts that are “lesser?” With a better covenant in Christ, should we now expect “lesser” gifts from His Spirit? With the fully revealed power of God for salvation in the Gospel now known, has the Holy Spirit now minimalized His work, spreading spiritual gifts of lesser and unbiblical quality? Does this even seem reasonable from the testimony of God in tota Scriptura? But perhaps the pre-eminent question is this – for those charismatic practitioners who might rightly profess faith in the 2,000-year-old Gospel of Christ, how then can behavior be endorsed and adopted that comes from a barely 100-year-old movement? God’s revelation throughout Scripture always got better. It never degraded … and neither did His gifts. Those He used had a purpose, and when that purpose was completed, He brought them to a sovereign end. And we are left with the glorious, grace-imbued fruits of the Spirit which are of a far greater, and eternal, nature … “But the fruit of the Spirit is love, joy, peace, forbearance, kindness, goodness, faithfulness, gentleness, and self-control.” (Galatians 5:22-23). And in such things Paul exhorts us to “Rejoice in the Lord always,” (Philippians 4:13). The book by O. Palmer Robertson, The Final Word: A Biblical Response To The Case For Tongues and Prophecy Today, is available from Banner of Truth or Amazon. PreviousThe Secrets Behind Martial Arts !